This is a long format essay where I attempt to unravel the the mystery of why so many UFO abductees report weird owl experiences. There are reoccurring accounts of screen memories throughout the literature, but this is something much more elusive. Much of this reporting comes from my own direct experience. For reasons I don't understand, owls are somehow attracted to people who tell of direct contact with the UFO occupants. I need to thank all the people who helped me with this report, your willingness to share has been a powerful gift to me. Thank you. 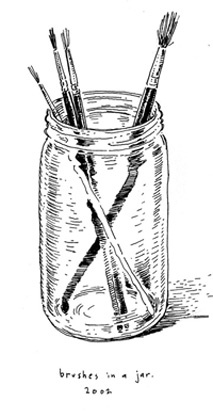 This essay will be a chapter in the upcoming collection title The Contact Book. edited and compiled by Frank Zero. Fellow contributors include: Brad Steiger, Christopher Knowles, Loren Coleman, Theresa Lee Clark and Colin Reid. Also, in writing this essay I realized that this could well be the foundation of a stand alone book. There is a wealth of reporting - and it's incredibly weird. I have heard from two people (both with UFO experiences) who saw an owl within minutes of reading this essay. This mirrors David Weatherly's experience (noted in the essay) where he actually saw an owl while reading this essay. To me, this is a sort of confirmation that I am onto something with this avenue of research. At some point at the end of July (2013) this essay has become the most popular post in the four and a half year history of this blog. I'll never forget watching Twin Peaks for the first time and hearing "The owls are not what they seem." I saw him speak at the Brisbane 'Mind,Body and Spirit Festival' on Saturday and this guy is good. But then again,maybe he has had contact with UFOs and he just hasn't come out of the closet yet. It was funny that the UFO society of Queensland weren't that far away from where he gave the talk,come to think of it (see the photos that I took of their stall). Check out the 29 second mark of this You Tube of Scott's to see the creepy alien looking owl that hovered over the old shop's counter. I forgot how creepy that thing looked. Animals as messengers: a biggie in synchroland. The book sounds intriguing! I sent Whitley Strieber an email telling him I had posted this essay. I asked his permission to use a few quotes of his, so he had a heads up on the content. The owl is silent, a night creature, a predator and fierce with seeing. As are the Grays. is about confrontation with the dangerous sacred. I am not so sure that this other realm is hidden. We're the ones who are hiding. Thanks for sending me this. Terrific stuff! I love that movie.I saw it a few weeks ago on a free pass that was given to me,and I had a LOT of synchronicities surrounding the screening of that movie. You have not compared abductees to others in frequency of synchronicities. It is so great to feel some peace right now and to be able to consider these owl accounts and the messages within about owl experiences, such as: Pay Attention, Communion with All-That-Is, Lunar Energy, Shamanic Initiation, and Patience. Reading your owl essay has had reassuring and even spiritual affects. It has also brought forth additional owl memories and added deeper meanings and perspectives to those experiences on which I can now further reflect. Thank you, Mike, for the tremendous efforts, talents and dedication which you implore throughout your quest for your own truths, from which we so greatly benefit. "I am convinced that I re-connected with my deceased parents in a non-physical plane of reality.I was not able to be with my parents when they died,but three months after losing my mother,she came to me.Similarly,four years later and again three months later after his death,my father also visited me. Non-physical experiences of "presences" happen to me while in deep states of meditation and also while I am in a state of consciousness between waking and sleeping,known as the hypnagogic state.You are not dreaming in any conventional understanding of the word.You know who you are and where you are.You believe yourself to be wide awake and moving in your physical body when in fact you are still lying in bed. I interpret these very vivid experiences to be happening in the "astral" plane.I am moving and speaking in my astral body not my physical body.The veil between the realms lifts during sleep and on the edge of waking consciousness you can be in two worlds at the same time.I think it is very likely that the vivid UFO abduction experiences that have been so well documented could be something similar.They are events that seem physical but are actually occurring in some other dimension of reality." I think I know what she means as I have had on a few occasions myself visitations from a person who is now deceased but seemed very much alive in this so called "dream" state (which is totally not like a dream,but not quite real either) between sleeping and waking. 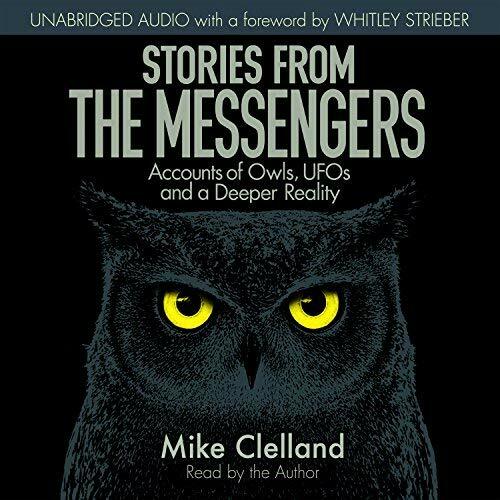 Something to ponder,not that I'm saying abduction experiences aren't real.Gillian makes a lot of good points in her book,not that I'm into yoga and Christian mystics,not that she says that's the only way to open up to higher realms.Worth a read if you get the chance. You can read the first chapter for free at here blog and see if this book appeals on a gut level or not with you. and at the 52 minute mark he is asked if he has ever had a UFO abdutee experience and he answers pretty much in the affirmative. 'Awakening to the Spirit World'. I hadn't heard of him before picking up this book,which I so far find fascinating. prey through their hearing. Aliens do have higher technology to paralyze humans in abducting them to their spaceships. So the connection may have some meaning. Last night I read your article on Owls and was very interested in the whole synchronistic phenomenon concerning the owls. In the past 20 years I have had astonishing and truly amazing experiences with synchronicity. At times I went through very hard times and sometimes almost lost my usuall intense believe in the Divine. It was the always perfectly timed synchronistic acts that kept me going through dark times and that restored my faith and gave me hope for a better future. Today I am happy and contented with a very strong belief that with faith and a positive intent, we can overcome darkness. Synchronicity is still a mystery to me............. It amazes, intrigues and inspires me! This is the reason I decided to listen to your interview on Radio 3Fourteen yesterday. 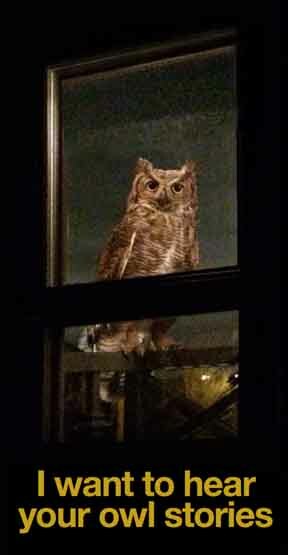 You mentioned the owl phenomenon and I started reading the piece while my family was with me. By the time I got to page 31, I wondered if I would also have an owl experience like the people you mentioned. At that VERY moment I heard an owl's hoot outside and I was reading (all happening at the same time) " It was a beautiful night and she heard the very clear sound of two owls hooting." Neadless to say I was overwhelmed!!!!! The owl ( which I haven't heard before, as the owls in our area - Pretoria, RSA - have been diminishing) kept on hooting untill I finished reading your article. It stopped and I lay awake for a long time waiting to hear his call again, but he probably left to synchronictically suprise somebody else. Thanks for the information, I will follow your blog in future. Now that's what I've been finding. Yours in not the first letter like that! Owls have gained popularity lately. I see them posted all over Facebook by people who like owls, and you can buy owl-themed items of every description. I suppose it's too much to hope that this is a sign of humanity's awakening or some such, but it's still nice to think that it might be so. I like to look at the Shamanic Spirit Animal connection. The wise owl seems to know something we don't. As the 'familiar' of many pagan and shaman, these guides possess an ancient wisdom. Guardians of the night, and outsiders. These spirits that embody the owl are mysterious. I have communed with them in South American Ayahuasca ceremonies repeatedly. The owls are guides and possibly, because of their power, become containers for an ET presence. 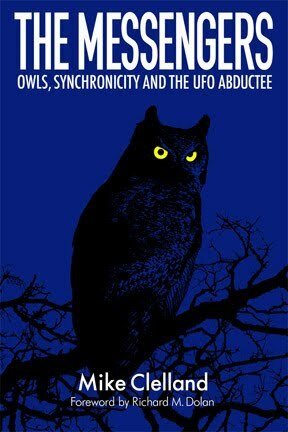 Have you heard of UFO abductee connections with other birds other than owls? I have been approached by someone with a similar story to yours but with Ravens. Yes, I am very familiar with the accounts of birds in the lives of the abductees. Beyond owls, there are plenty of stores of ravens, hawks, eagles and hummingbirds. Also - I know several people with profound experiences with deer. Hello. I just came across your essay and am excited to read what you have to say about this subject. I'm a contactee and strangely enough , have also seen or heard owls during a few of these events. While I didn't see them every time I've had contact , I can think of at least four time that I have. It's pretty interesting that others have seen them as well. We took five grams. Five grams of dried mushrooms is a lot. If you wanted to punch a hole through the fabric of space-time, five grams is good. We sat at the pond [and] focused on each other’s energy. [The] next thing we knew, we opened our eyes and shared this UFO experience. From a descriptive standpoint, it’s almost ridiculous to talk about as visually it did seem like something from a bad science-fiction movie. Cheesy. The inside of the ship was like a conch shell. I walked down a circular ramp through a hallway of light and headed towards a circle of light. The beings, they were glowing. Oh my God. Did you …? After that we realized we were able to communicate telepathically. We had a perfectly normal conversation without either one of us opening our mouth. We were perfectly in sync. It was like a miracle. We communicated like this for a while, neither of us saying anything. We were snapped out of our place, for lack of a better term, when we heard footsteps crunching on the granite pathway. We looked up to see Epstein walking towards us. “Are you guys feeling anything? I’m not really getting off.” It was so funny. “Dude, you missed it,” Bill said. [After the diagnosis] It might be the one thing about Bill that never changed that much: not knowing how to feel about death. Maybe that’s why he had always adhered to some variant of the notion that there was no such thing as death. It wasn’t just convenient, it kept him from having to deal with all of the negative aspects of death and dying. And now looking at his own death, instead of feeling nothing, I think he felt everything: sadness, anger, fear, frustration. But that guy put on the bravest of faces, just about every time I saw him in the last few months of his life. Not long after Christmas Bill was getting another tumor marker. This was it. This was going to be the miracle. We were all hopeful, and looking back maybe naively so. We wanted to believe so badly, but even at Christmas Bill looked so frail and his stomach was distending. The day of the marker, I never heard from anybody. No news was bad news. If it had come back smaller, the word would have spread to everyone quickly. The next time Bill and I talked was in mid-January. The subject of the marker never came up. There was a planetary alignment that month, another Harmonic Convergence, he was telling me, and that he wanted to do something together for it, but was too sick. I stayed in Austin and took mushrooms with my girlfriend Jere. We went for a hike along the Barton Creek greenbelt. No spaceships. No cosmic revelations. It was largely uneventful. The only thing out of the ordinary to happen was that a large owl landed next to me and starting hooting. Looking right at me. Hooting. I came back and talked to Bill later that night. I told him about the owl. He sighed. Very resigned. Like it was bad news. I didn’t get it. I talked to David Johndrow later that night and I told him the whole thing. He told me that to many cultures – some Native American and African – the owl was an bad omen, a harbinger of death. There is also the screech owl that is linked to Persephone. It has an occult name- Molech. Oddly, many political folks in the US like doing satanic rituals at "Bohemian Grove". It's worth you looking into. In all fairness, you may be a victim of MKULTRA/Monarch programming. If you have missing gaps of time in your past, or you remember abuse, its very likely. owls make a noise when peace descends over us at night. When I have done a hard days work and everything is in order there is something mysterious and peaceful and energetic. That is when the owl speaks to me. So perhaps the owl has something to do with our consciousness and our spirituality which is the strength and purity of our thoughts and therefore our consciousness? I personally think that if we have negative experiences with owls we need to work on our spirituality and stay positive and hopeful. I have been reading the posts on here and wondered if anyone can help me understand the meaning of this. I was driving home from Orlando this past weekend and an owl..a big owl hit my windshield. I was driving about 55 and it scared us so bad my daughter spilled her drink and my son actually got a short headache from the noise of it hitting my windshield. I do have a little native american in me, and my native american zodiac sign is an owl. It was a big owl. Thanks for your reading and responding to this. No answers as to what it might mean. This stuff is mysterious. It could have been just an owl hitting your window, just an accident. But, I am curious about any of your own experiences that might be relevant. Any UFO sightings in your life? Also - What were you talking about (or thinking about, in the moments leading up to the owl impact? And - Where were you driving to? Andy odd events in the follow up? Perhaps bad news from a friend or family? Or, perhaps some sort of mystical experience? Have you by chance come across Nobel Prize winner Kary Mullis' account of his missing time experience? In pp. 130-136 in his book Dancing Naked in the Mind Field, he relates an encounter with a talking raccoon, a big chunk of missing time, and a strong unsettling feeling when near a particular spot on his property in some remote part of Mendocino, CA. Later, his daughter told him of her missing time experience on the same property. She went missing and her boyfriend couldn't find her. She apparently only remembers walking back to her dad's cabin, using the same route that Kary Mullis did when he had his missing time experience. Have you heard much about raccoons in these kinds of encounters? Hello. I've read half of your essay and most of the comments here. I stopped reading the essay because I just have to tell my owl story too, and I feel overwhelmed with emotion. I experienced the owl after ingesting a lot of psychedelic mushrooms, psilocybin. What it felt like was that an owl had flown into my brain. I don't know how else to describe it. It lasted for several hours and the owl was largely the only vision I experienced during that particular trip. I was inside my house, laying on the floor. At this time in my life, I was addicted to alcohol,pills and anything that would get me high. After this experience with the owl and several more trips on psilocybin, I stopped taking all drugs and drinking. I'm still sober four years later. The owl has appeared at other times in my life since then...a real owl, in my yard. And also in my dreams. Whatever the owl is or represents, it is Love, because my life has completely changed...because of mushrooms and because of the owl, and possibly because of UFOs. On other trips on mushrooms, I had visions of UFOs and felt once that a UFO had landed in my room and that there were beings who wanted me to join them on the flying saucer. I'm still trying to unravel the connection between these things. Have others had experiences with UFOs and mushrooms? Or could anyone direct me to articles concerning the connection between these two things? The only writer I know of who has made a connection is Terence McKenna. It's so great to write this out and feel like no one is going to call my crazy. I wan to hear more about your experiences. The answer is yes, this is a curious connection to owls and mushrooms, I am collecting a lot of examples. I would love to hear more of your experiences. 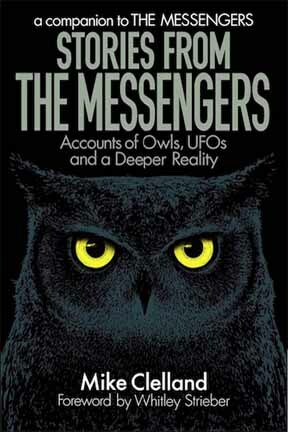 Also - there is a connection between owls/UFOs/mushrooms, although that is a little more rare, but I have some examples of all three all tangled up together. Thank you for sharing this information—it was so thought-provoking that I've decided to share my own recent experience. After a set of particularly intense and stressful circumstances, I encountered what I only can describe as an "owl cat" during a nap—a vivid, almost hypnogogic encounter. It had the round, big-eyed gray face of an owl, but with a cat-like body and tail. I had pet it, and it felt real; warm, alive. I instantly knew this was a "screen memory" for something else, and this was an intense mystical/trans-dimensional experience addressing the issues I was currently facing. I could not have slept more than 15 minutes during this nap, so the dream experience came fast and strong. I had felt strangely comforted by the "dream"—as if there was some sort of "higher power" that acknowledged what I was going through. And yet, I did first read your blog a few weeks previous. Perhaps I was highly-suggestible, and this dream was the sort of detritus the mind casts away after absorbing various stimuli elsewhere. Well, today—about a week after the cat-owl dream—I found a gigantic owl statue/outdoor installation right outside a place I was visiting. I had visited the place two days before...and while I had seen elements of the statue, I never looked up to take in exactly what it was. But now I saw the entire thing. It not only looked like an owl, but looked like one of those Bohemian Grove-type owls. I was just stunned. The place in question related to some current decisions I'm making about my life-path. That owl confirmed things for me. 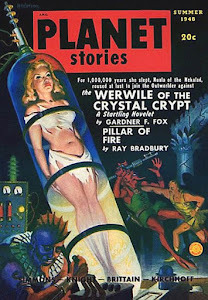 To give more context, I've been having a number of paranormal dreams and experiences over the last two weeks, including highly-vivid dreams with figures who I knew were other "screen images," and very clear-cut precognitive dreams. The fact that I encountered your blog roughly a few weeks before this highly-important, plugged-in time in my life is not an accident. I'm curious what other owl encounters I will have! Ive had a pretty weird experiance and never heard anything like this. Ive been interested in this subject since i was a kid, and always been the thing that scares me to death. Ive had things happen as a akid but nothing like this, Me and my girlfriend both experianced this. This all happened in a week period, first thing was we would go for drives at night in our truck in a very wooded area that i am very familiar with, late at night we stop with a flashlight at a beaver pond to look for moose. I shine the light then shut it off, few times of that, then i hear my gf say did you see that light. Which i didnt and thought she was joking where she was pointing i knew there was no way she seen a light where she was saying there was one. Then all of a sudden i seen it, it just blinked in out of nowhere bright white, blinked out then a second later came back in different location but closer to us. I knew from where i had seen it there was no way this was some man in the woods that had climbed a tree with a flashlight and no way he could move that fast.I instantly felt fear, and said lets go and jumped in the tuck and i would randomly look back cause i had a feeling it was following. The next day went for another drive broad daylight we are driving down a long two lane dirt road when out of nowhere a huge owl swoops dwon above our truck, I slam on the breaks cause i had never seen an owl like that in my life and ive hunted, trapped and been in the woods since childhood. As we are stopped it flys up into a tall tree and is about 100 200 feet away from us staring down at us and we just watched it for a bit. It was the wierdest thing cause it just stayed there watching us until after awhile it took off. This story gets way more insane and still to this day im trying to wrap my head around what happened to me. Ill finish the story in another comment. I am very interested to hear what else happened. I have no way of getting ahold of you. But - I am very eager to hear more! Please tell me the rest of this story you started above. I have had numerous experiences with ufo sightings as well as possible abductions. I do not remember seeing owls; however, in the last few years I have become obsessed with them. I feel safe when I see pictures of them. This is really weird to me. One additional comment - what I have seen is beings that are cloaked (with a hood) in black. I have seen these beings since I was 5 years old. I do not feel safe with these beings, that's why I am confused as to why I would feel safe with pictures of owls.